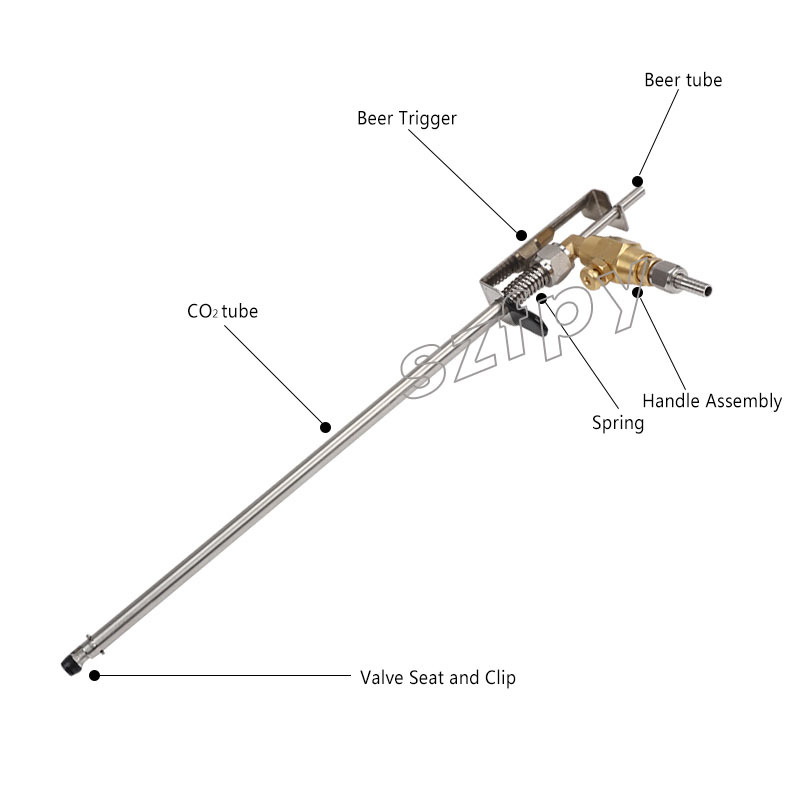 The BeerGun is used mainly for filling beer bottles from previously kegged and carbonated beer. 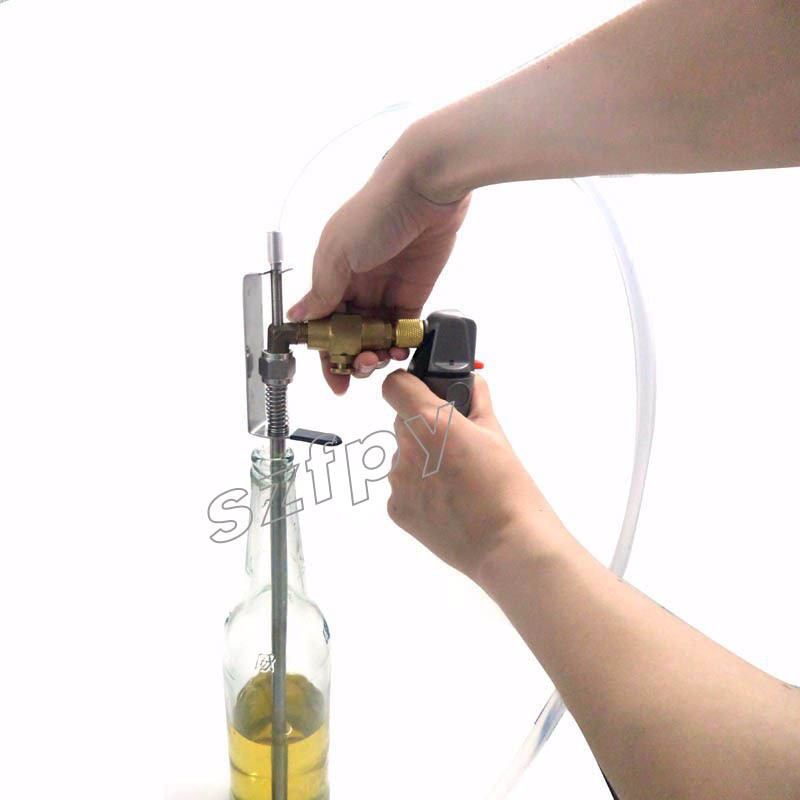 It can, however be used to fill bottles from a bottling bucket/fermenter, or even be used to fill wine bottles, provided there is a source of C02 available. In this case, little pressure is available to push the beer through the hose, so a shorter length of hose is recommended to increase flow rate. 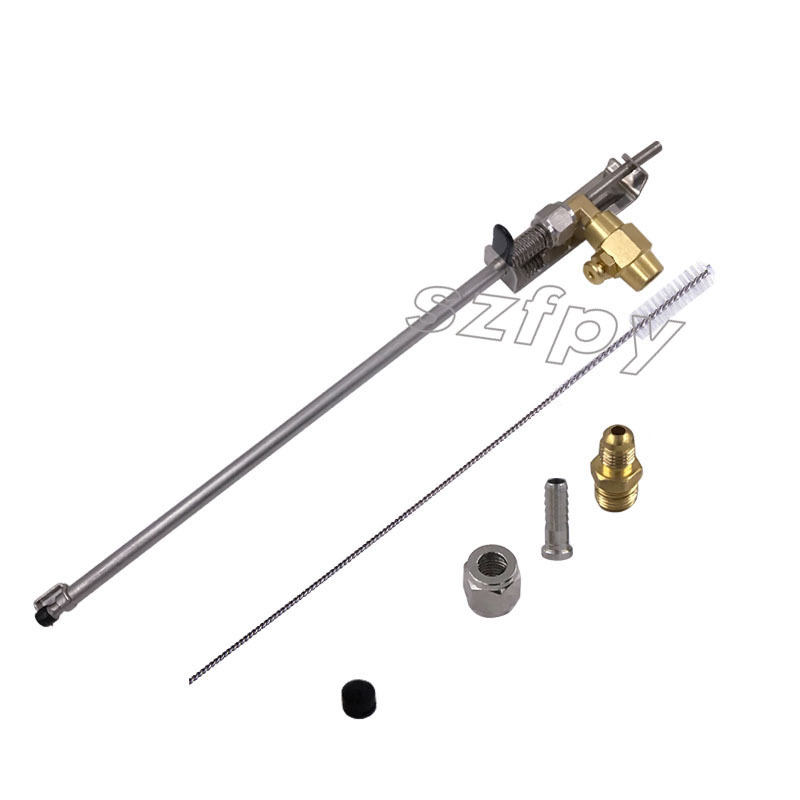 The BeerGun is designed to be much more ergonomic and much less complex than a traditional counter pressure bottle filler. The BeerGun is designed to purge a beer bottle with CO2 gas, and then transfer carbonated beer into the bottle with minimal foaming, preserving a high level of the beer's carbonation. 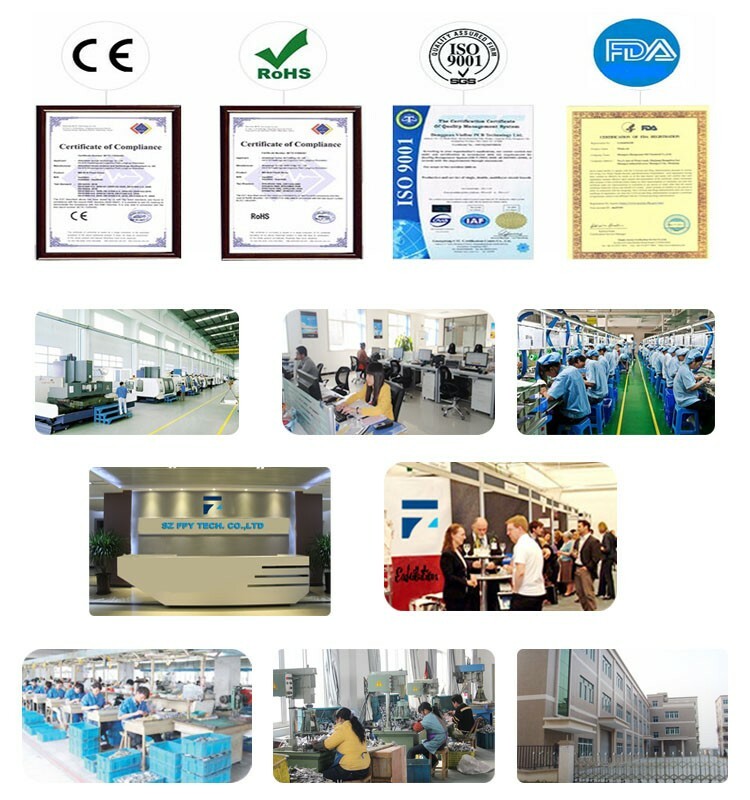 It is extremely simple to clean and set up and intuitively easy and fast to operate. Unlike counter pressure fillers with multiple valves, the BeerGun has a one-handed operation just press the trigger! 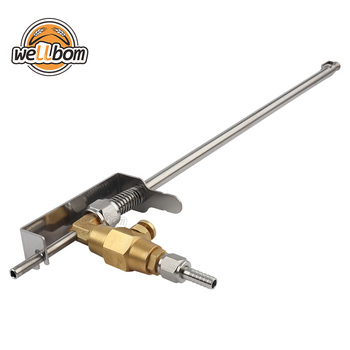 All components in contact with beer are made from stainless steel or silicone, which ensures the BeerGun is easy to keep clean, and that it will have a long life. Step 1 Chill bottles to the same temperature of the beer. Step 2 Turn on CO2 gas supply and set the pressure to 2-4psi. Step 3 Place the beer gun into the bottle so the end of the beer gun is right against the bottom of the bottle. 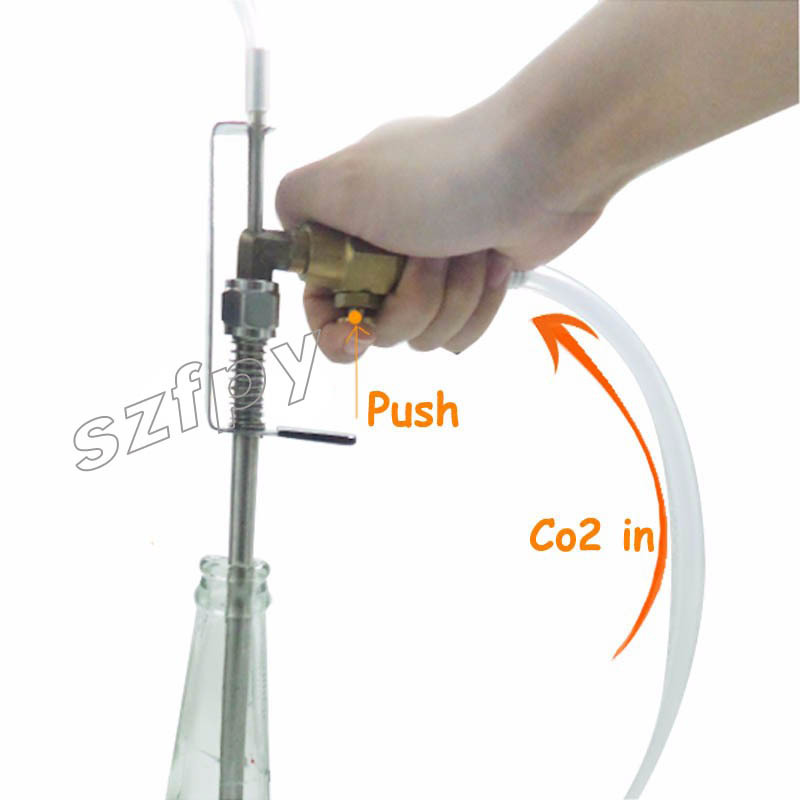 Depress the brass trigger that allows the CO2 gas to flow into the bottle. Step 4 Quickly open the beer trigger valve and continue pressing the valve until the bottle has completely filled.